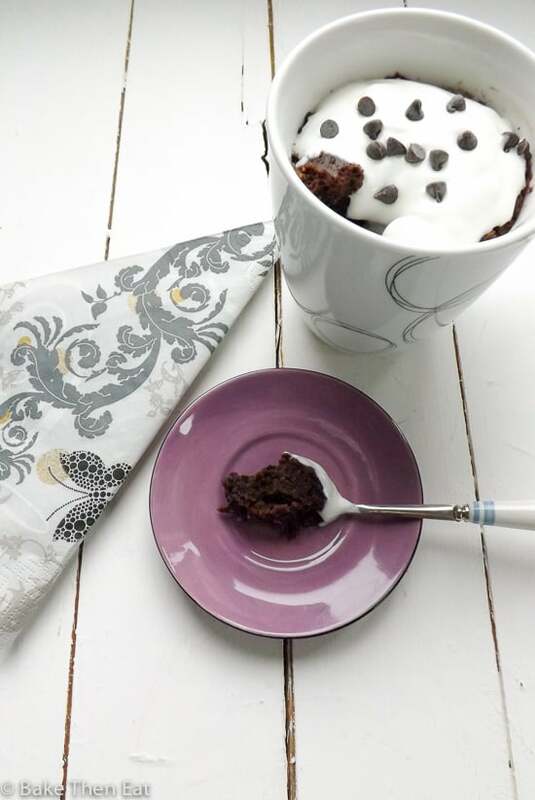 It’s a bit weird how this recipe for Gluten Free Vegan Chocolate Mug Cake came about. I have been wanting to experiment with mug cakes for the longest time, but in all honesty no matter how good all the pictures on the internet have been I was not convinced. To me cakes are baked and not zapped in the microwave. I really only use my microwave to reheat forgotten cups of coffee or leftovers from the fridge. Or to melt some chocolate. But I got into a chat with @SweetFreedom on Twitter when I posted my Gluten Free Cranberry Banana Bread recipe about gluten free baking. 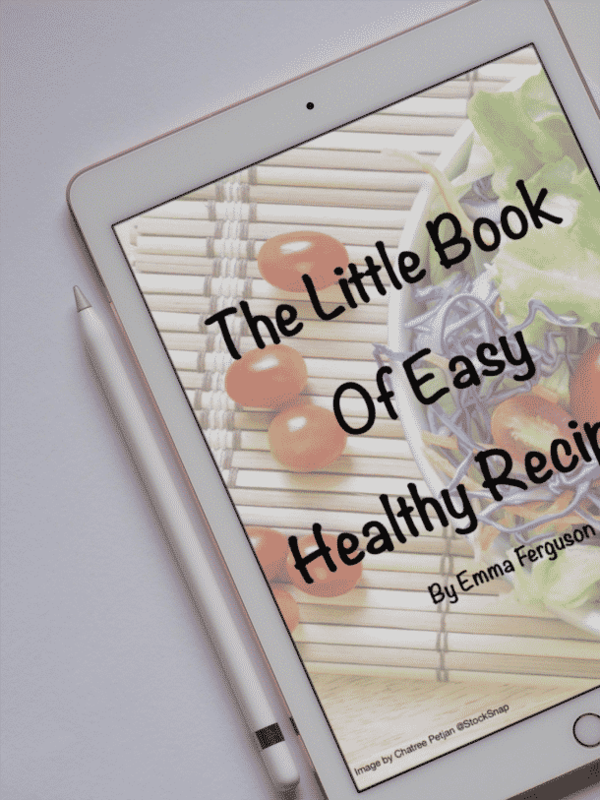 They asked if I posted a lot of free from recipes and I told them I liked to try and include as many types of recipes as possible so there was something for everyone. They challenged me to bake them something using their free from choc shot I accepted and the challenge was on! Choc Shot is 100% natural liquid chocolate that is perfect for hot chocolate, spreading on toast or baking with. 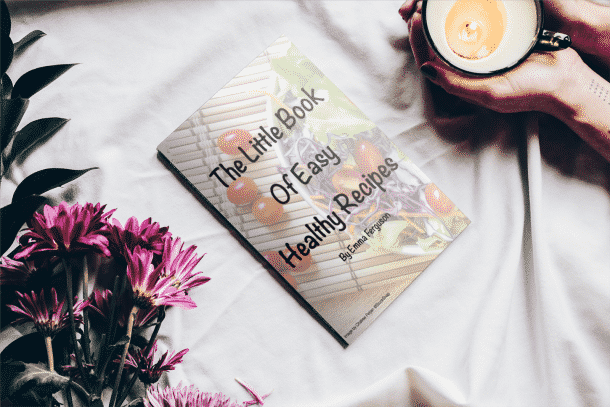 It has no additives, no GMO’s, gluten, dairy, soya, eggs, nuts or refined sugar in it. So its pretty safe for almost anyone. Oh and its 95% fat free……. bonus! Honestly this is not a sponsored post I just really dig this stuff its so versatile. I used this this as an excuse to see if I could make a mug cake delicious and desirable, to add to the challenge I wanted to make it not just gluten free but completely dairy free as well. And for it to still have bags of flavour. After a little trial and error I have to say I think this is the best chocolate cake I have ever made. Yep that was me admitting to microwave cake being the best chocolate cake I have ever made. And it’s dairy free as well! WT…… The chocolate flavour was just so intense. It it was so soft and fluffy but rich and fudgy like a brownie. It’s really hard to describe just how good this cake was. To make sure it wasn’t a weird fluke to trick me I made it again (it was difficult having to eat multiple cakes, but I did it for you……) and the result was the same. 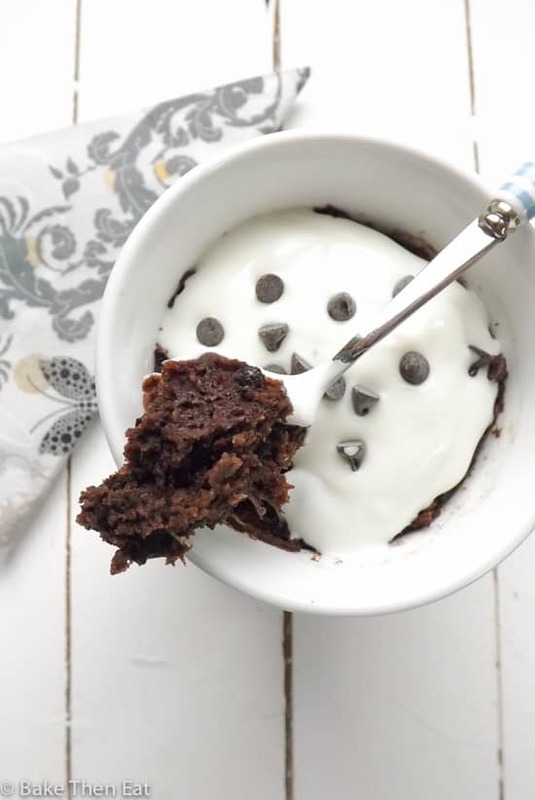 I really love this gluten free vegan chocolate mug cake. I have no idea if this would work in a conventional oven or not but in a microwave it is da’ bomb! (Did I really just use that awful 90’s saying? Dear Lord!) I tried one warm from the microwave and one cold and they both tasted amazing, so no matter how you like your cake, warm or cold it works both ways. To keep it gluten free I used rice flour. I find rice flour to be fine like regular all purpose or even cake flour so this helps to keep it fluffy. To keep it vegan I used a mashed ripe banana in place of the egg (don’t worry you can’t taste the banana) and I used a little almond milk to thin the batter down a bit and add a touch more moister. I also filled the batter with vegan and gluten free mini dark chocolate chips. To top this cake I added a dollop of fat free plant based Greek yogurt because I wanted something quick and easy from the fridge and couldn’t be bothered with making whipped coconut cream. But use a vegan cream if you have one handy. Or any plant based yogurt will do. I liked the tanginess of the Greek yogurt as I found it really complimented the sweet chocolate so well. 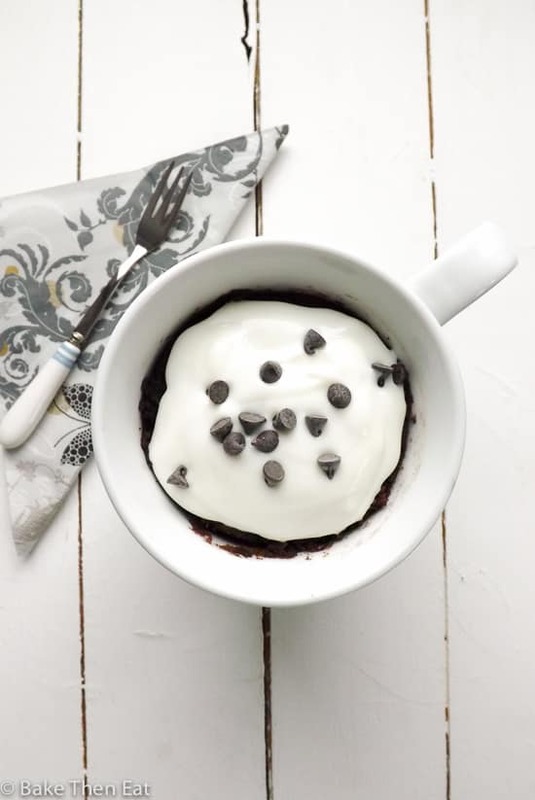 Of course you don’t need a topping but one down side to microwave mug cakes is they are just not the prettiest thing on the planet, so a little topping does help. The sprinkle of chips on top of that is completely optional as well. So thanks @SweetFreedom for the challenge it certainly has been fun and best of all I have ended up with a new quick go to chocolate fix, that isn’t all that unhealthy for you! 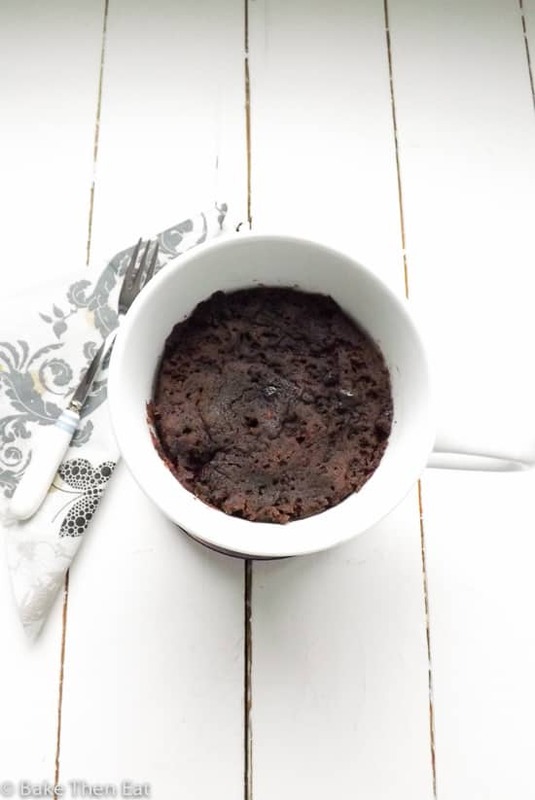 A Gluten Free Vegan Chocolate Mug Cake that is packed full of chocolate flavour made and cooked all in a mug. From Ingredients to table in under 6 minutes! In a large mug mash the banana up as much as you can so there are no large lumps visible. Add in the choc shot (liquid chocolate), light brown sugar, vanilla extract and almond milk and mix everything together. Add in the flour and baking soda, give everything a good mix to make sure everything is well combined. My microwave is 800 watt power and I found the perfect amount of time was 2 minutes and 45 seconds on full power. Start with 2 minutes on full power in your microwave then test your cake it should be firm to the touch with a little spring in it. If not give it another 15 seconds and test again. One cooked let it stand for 1 minute before topping with yogurt / cream and eating. Choc Shot is basically a liquid chocolate.If you don't have mini vegan chocolate chips then regular sized ones will work as well.The cooking time is based off of my microwave which is 800 watt and it was on full power when I cooked it. The recipe software doesn't allow me to add seconds to the cook time but to get the perfect 'bake' it took me 2 minutes and 45 seconds.You must allow the cake to stand for at least 1 minute after cooking as it will come out of the microwave scalding hot, and it will also need this time to settle down. A little deflation is to be expected.Eat on the day of making. These mug desserts are awesome because the clean up is usually a lot less than a traditional baked dessert. I love the idea of the Greek yogurt as a topping. Seems like a great recipe. Hi Chris, thank you. Mug cakes are great for the lack of washing up needed! This looks absolutely delicious, Emma! I still haven’t tried a mug cake yet, so I guess it’s really about time to change that! Never heard of vegan Greek yogurt. What brand did you use? I tried a mug cake once and it was pretty terrible! lol So I’ve been skeptical ever since! But you are making me re-think this. Maybe I jsut need to give it another go! This does sound delicious! And I love the idea of a quick treat! Hi Ashley, I was skeptical as well hence why I never bothered before. But I have to say I have changed my mind and will be experimenting more in the future but I am sure there will be plenty of fails along the way! 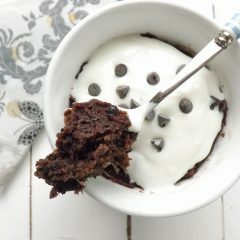 Oh my gosh, I definitely need to try this the next time I have a chocolate cake craving that just can’t be tamed! Love how easy it looks too! I could just go one of these right now! It looks great and vegan too! Thank you, that’s what’s so dangerous about these cakes you can whip them up in only a few minutes!!! This looks fab! I’ve had hit and miss experiences making mug cakes but since I have some choc shot in my cupboard (the choc coconut one though, but I think that could be a nice variation!) I must give this a go. Do you think it needs the rice flour to stay so light, or could you use regular flour for a non-gluten free version? The cake looks so moist and fluffy! I love mug cakes! Cake in 6 minutes is a dream come true! Yay for trying your first mug cake! The choc shot, banana and greek yogurt sound so good in here! I love that it’s gluten free too! It sounds and looks very tempting!